engineering and process development to accelerate the transition of the best hydrogen storage materials to a commercial reality. 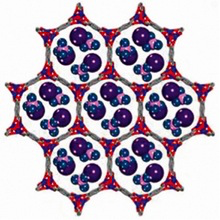 The unique SNL capabilities are rooted in interdisciplinary research that enables self-assembled materials, tailored alloys, multicomponent composites, destabilized and nanostructured metal hydrides to be conceived, synthesized, characterized and evaluated for vehicular hydrogen storage. The team’s expertise ranges from solid-state physics, surface chemistry, materials theory, simulation, design, and synthesis to using state-of-the-art instruments to evaluate materials performance under various process parameters and extreme environments. 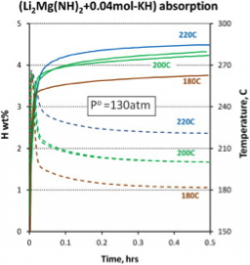 Phase equilibrium codes using a large thermochemical hydride database developed by Sandia are used to predict the plateau hydrogen pressure and concentration of all relevant species at equilibrium. State-of-the-art experimental capabilities available at Sandia and through our technical collaborations include numerous glove-boxes and Schlenk lines, high-pressure stations (>2000 bar H2 pressure), PCT and Sieverts instruments, in situ X-Ray and neutron diffraction, SEM, STM, TEM, TGA-DSC, STMBMS, FTIR, Raman, NMR and synchrotron-based soft-x-ray emission and absorption spectroscopies. Multiple cutting-edge studies are carried out through collaborations with other national laboratories, universities and companies. N. Yang, J.K. Yee, Z. Zhang, L. Kurmanaeva, P. Cappillino, V. Stavila, E.J. Lavernia, C.S. 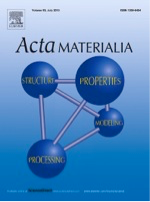 Marchi, “Hydrogen sorption characteristics of nanostructured Pd-10Rh processed by cryomilling”, Acta Materialia, 2015, 82, 41–50. 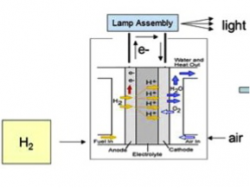 Using metal hydride H2 storage in mobile fuel cell equipment: Design and predicted performance of a metal hydride fuel cell mobile light. C. Song, L.E. Klebanoff, T.A. Johnson, B.S. Chao, A.F. Socha, J.M. Oros, C.J. Radley, S. Wingert, J.S. 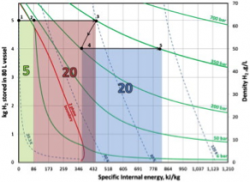 Breit, International Journal of Hydrogen Energy, 2014, 39, 14896-14911. An investigation into the hydrogen storage characteristics of Ca(BH4)2/LiNH2 and Ca(BH4)2/NaNH2: Evidence of Intramolecular destabilization Poonyayant, V. Stavila, E.H. Majzoub, L.E. Klebanoff, R. Behrens, M. Ulutagay-Kartin, P. Pakawatpanurut, E.S. Hecht, J.S. 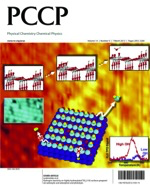 Breit, Journal of Physical Chemistry C, 2014, 118, 14759-14769. 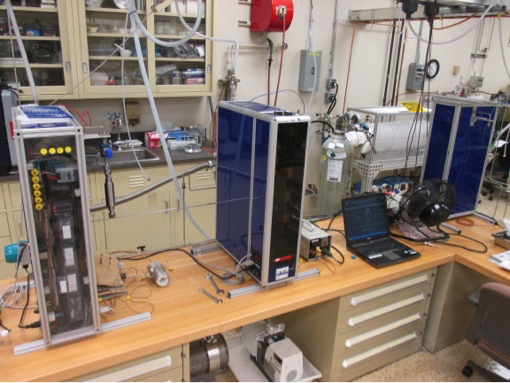 Accelerating the Understanding and Development of Hydrogen Storage Materials: A Review of the Five-year Efforts of the Three DOE Hydrogen Storage Materials Centers of Excellence. L.E. Klebanoff, K.C. Ott, L.J. Simpson, K. O’Malley and N.T. 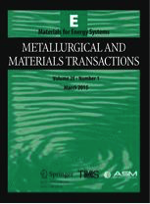 Stetson, Metallurgical and Materials Transactions, 2014, 1A, 81-117. 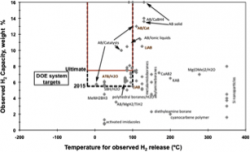 A Comparative Analysis of the Cryo-compression and Cryo-adsorption Hydrogen Storage Methods, G. Petitpas, P. Bénard, L.E. Klebanoff, J. Xiao and S. Aceves, International Journal of Hydrogen Energy, 2014, 39, 10564-10572. 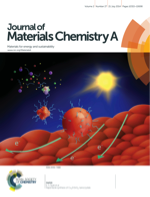 Nanoconfined light metal hydrides for reversible hydrogen storage, Petra E. de Jongh, Mark Allendorf, John J. Vajo, Claudia Zlotea, MRS Bulletin, 2013, 38, 488-494. 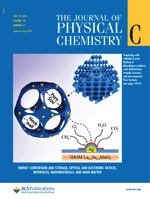 Probing the unusual anion mobility of LiBH4 confined in highly ordered nanoporous carbon frameworks via solid state NMR and quasielastic neutron scattering, X. Liu, E.H. Majzoub, V. Stavila, R. Bhakta, M.D. 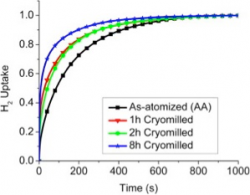 Allendorf, M. Conradi, N. Verdal, T. Udovic, Journal of Materials Chemistry A, 2013, 1, 9935-9941. 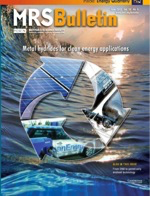 5 years of hydrogen storage research in the US DOE Metal Hydride Center of Excellence (MHCoE), L.E. Klebanoff, J.O. 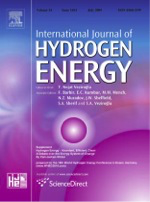 Keller, International Journal of Hydrogen Energy, 2013, 38, 4533-4576. 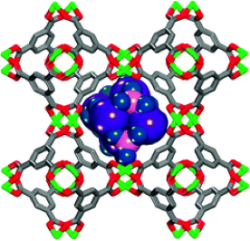 Reversible hydrogen storage by NaAlH4 confined within a titanium-functionalized MOF-74(Mg) nanoreactors, V. Stavila, R.K. Bhakta, T.M. Alam, E.H. Majzoub, M.D. 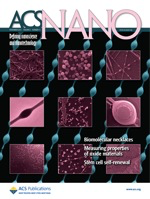 Allendorf, ACS Nano, 2012, 6, 9807-9817. 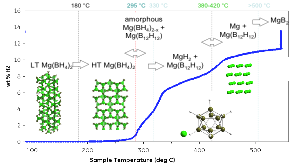 Thermodynamics and kinetics of NaAlH4 nanocluster decomposition, R.K. Bhakta, S. Maharrey, V. Stavila, E.H. Majzoub, M.D. Allendorf, Physical Chemistry Chemical Physics, 2012, 14, 8160-8169. 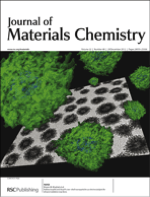 Nanoporous Pd Alloys with Compositionally Tunable Hydrogen Storage Properties Prepared by Nanoparticle Consolidation, P.J. Cappillino, J.D. Sugar, M.A. Hekmaty, B.W. Jacobs, V. Stavila, P.G. Kotula, J.M. Chames, N.Y. Yang, D.B. 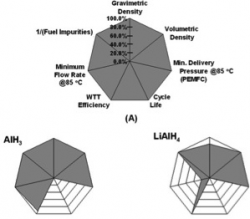 Robinson, Journal of Materials Chemistry, 2012, 22, 14013–14022. 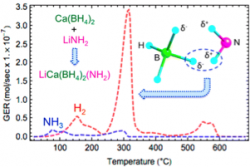 New Insights into the Mechanism of Activation and Hydrogen Absorption of (2LiNH2-MgH2), W. Luo, V. Stavila, L.E. 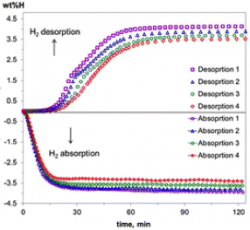 Klebanoff, International Journal of Hydrogen Energy, 2012, 37, 6646–6652. 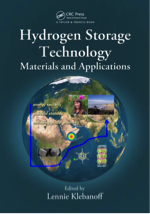 Hydrogen Storage Technology, Materials and Applications, Editor-in-Chief L.E. Klebanoff, (Taylor and Francis, Boca Raton) published December 12, 2012.